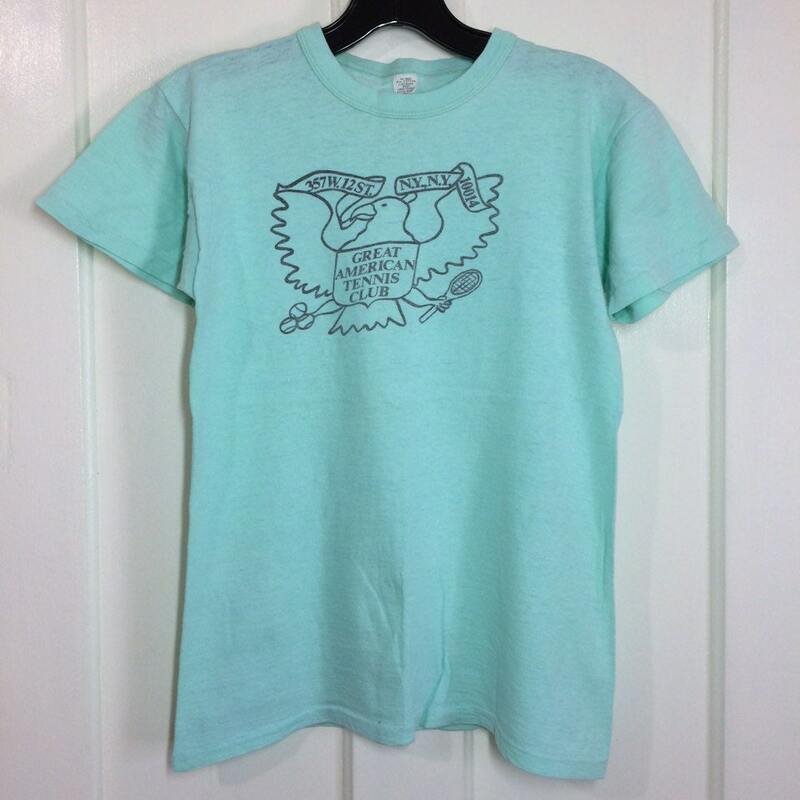 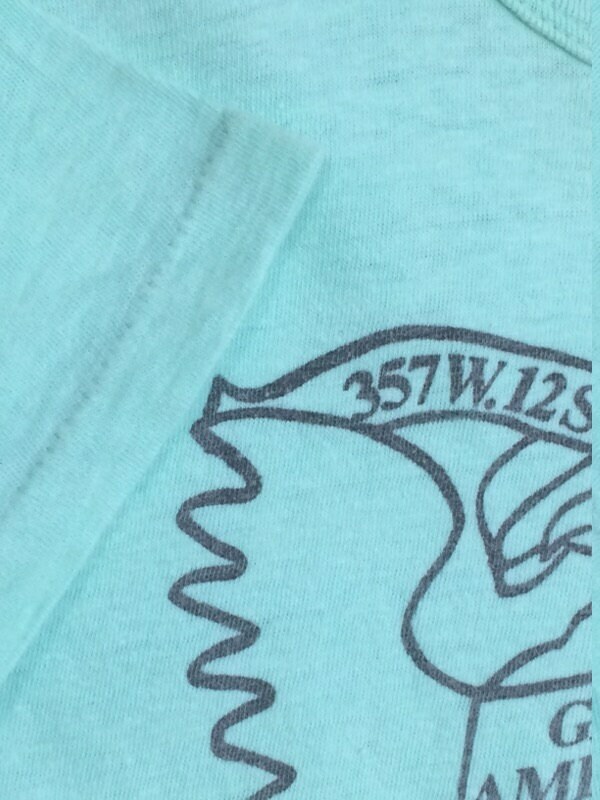 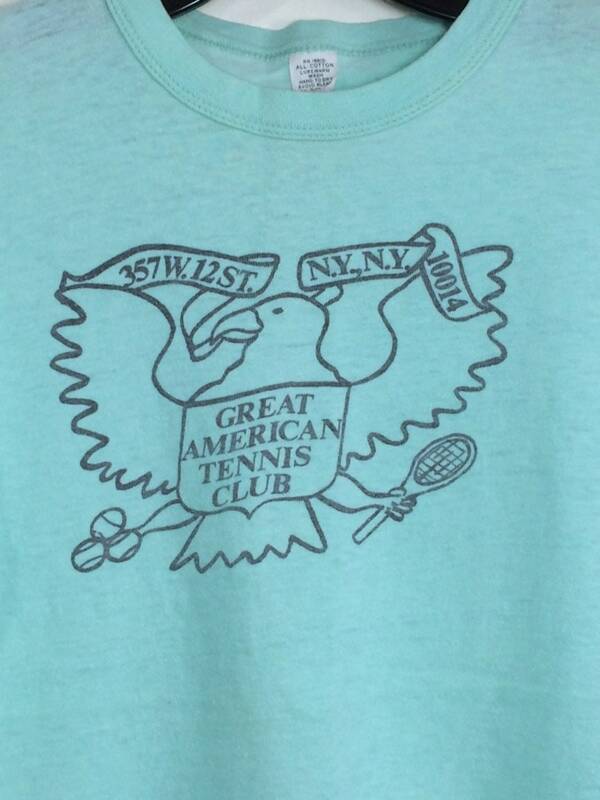 Here's a tennis club t-shirt from W. 12th St., NYC from the 1970's. 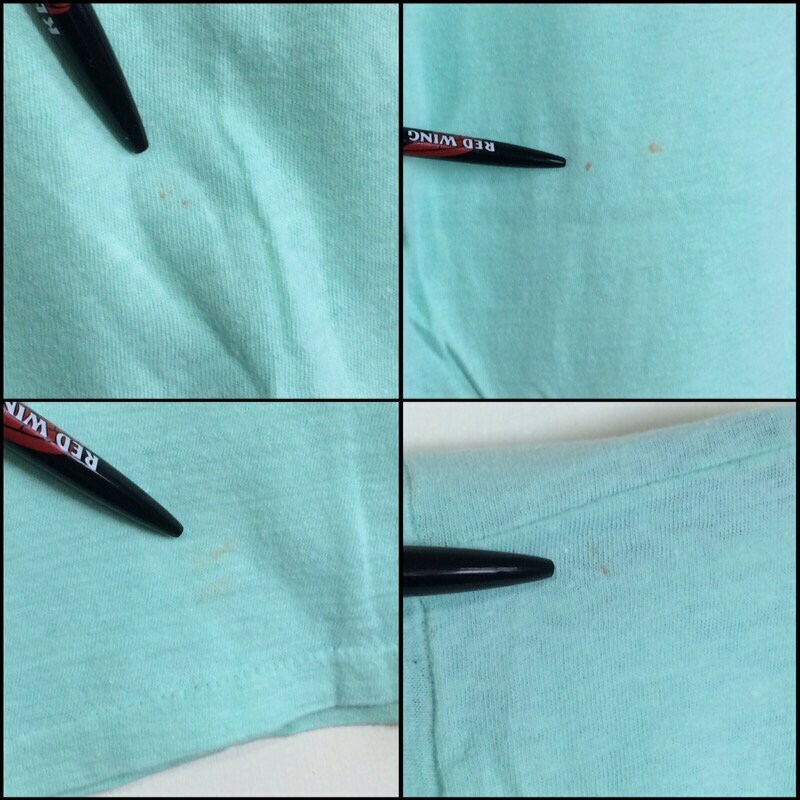 There's tiny rust color marks toward the bottom in front, 2 small spots in back, a couple light spots on the bottom left corner in back and a tiny light spot in back of the left shoulder, see last photos. 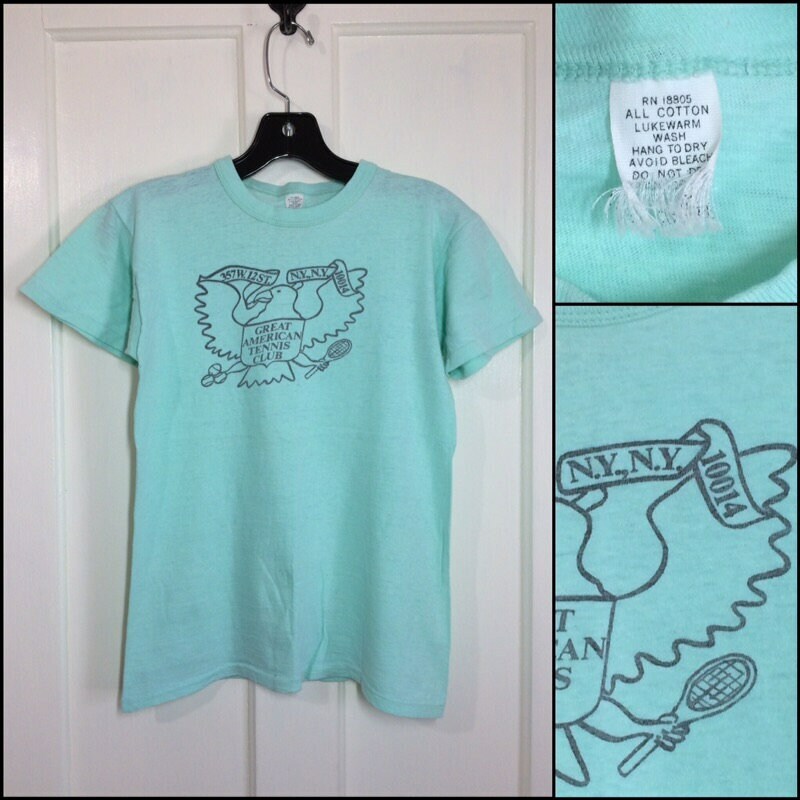 Otherwise, it's in excellent, very used condition.